Creating engaging e-learning courses is an art. They must facilitate learning in an interactive and engaging manner, amidst distractions, in the absence of an instructor. Instructional designers are responsible for designing e-learning courses that hook learners. Some e-learning courses fail to attract learners and engage throughout the course. 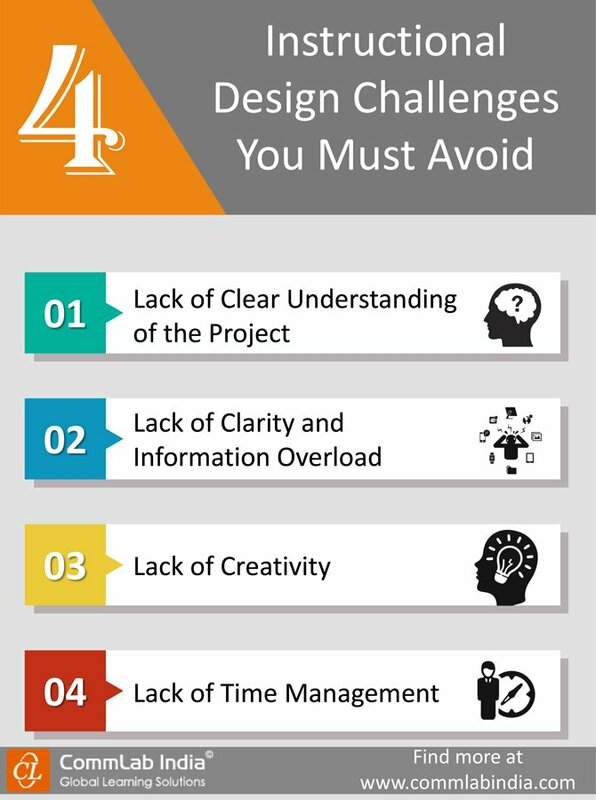 While there could be many reasons for this, this infographic lists four instructional design challenges IDs must avoid to ensure online courses are engaging.